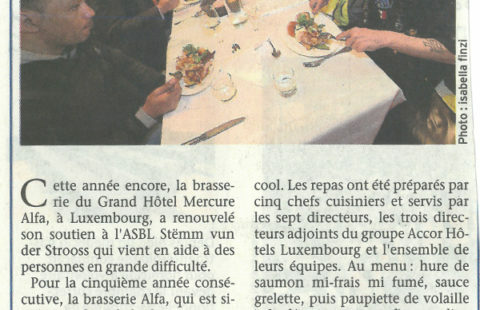 For the fifth year in a row, Sodexo has renewed its support for Stëmm vun der Strooss by selling chocolates at its restaurants during the months of April and May. The sale of these chocolates, specially made for the occasion by the Ateliers du Tricentenaire, was once again a great success. 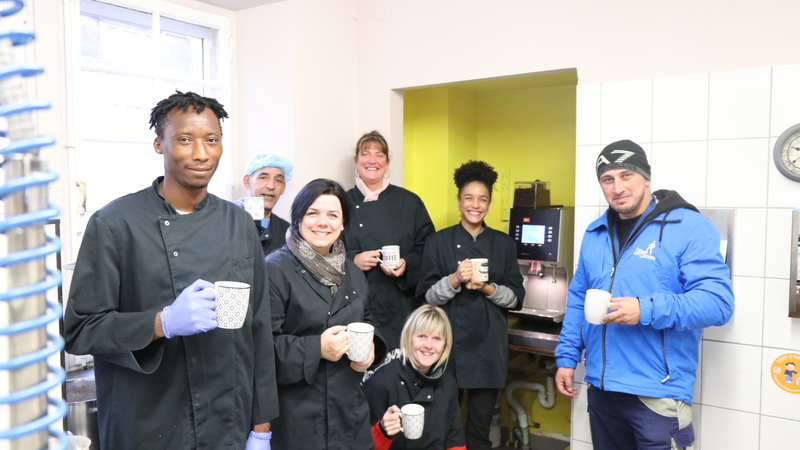 The funds raised have made it possible to finance the purchase of a €5,000 coffee machine for the “Stëmm Caddy” located in Bonnevoie. This is one of the organisation’s vocational rehabilitation workshops where 25 people are in charge of sorting food donations. The work of sorting and recycling food is very physically demanding, and a coffee break is a much-needed relaxing moment even for those who do not drink it. Around a coffee, the bonds between colleagues are strengthened and it gives us a chance to unwind and recharge our batteries for the day! The workshop Stëmm Caddy manages 1.5 tonnes of food daily donated by Auchan and prepares, packs, redistributes food to people in need in Luxembourg. The organization is well-established and the on-site team displays unwavering motivation. 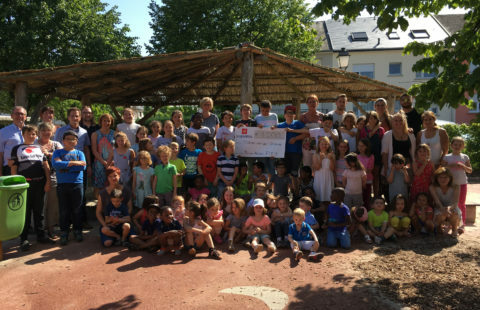 “This Sodexo donation is the result of a great story that started in 2014 with the first cheque of €3,700 issued to the benefit of Stëmm vun der Strooss and it is certainly not the last!” adds Alexandra Oxacelay, Director of Stëmm. A big thank you goes to all the guests, customers and Sodexo employees who made this beautiful initiative possible.